The best seafood in Krabi is mostly found in local restaurants, sometimes hard to find and often away from tourist places. Of course the seafood you will find in Patong, Kata, Karon and other popular beaches is good too, but there is a little something more in local restaurants. It's more authentic, more fresh, not to mention often cheaper. We are happy to share our 10 Best Local Seafood Restaurants in Krabi with you! This seafood restaurant is located at the end of a long stretch that starts from AoLuk and end at the sea. Even with its distance stretching about 30km, people from all over the province comes to taste the delight of this incredible yet low key restaurant. The food here is cheap and the view also, is amazing. Thara Kitchen has arguably the best varieties of seafood in Ao Nang, with their large collection of local shellfish prepared the Thai way with basil and chili stir-fried. The taste is absolutely sublime. If you prefer the plain steamed shellfish, you can go for the delicious hawychakteen. Wang Sai is a mega-seafood restaurant with seating capacity for hundreds of people. It is situated at the beachfront which is packed all night. There are fishing tanks at the entrance to the restaurant filled with over 5 varieties of fish, as well as crabs and clams. The Ao Nang seafood street is a covered boardwalk at the far end of the beach, close to the Wannas Place. The street has been revamped over the years and features restaurant serving excellent fresh fish and seafood instead of the mainly frozen selection from a local supermarket. The boardwalk has an enviable view, especially at sunset. Although not located within the Krabi province, it lies within its borders. 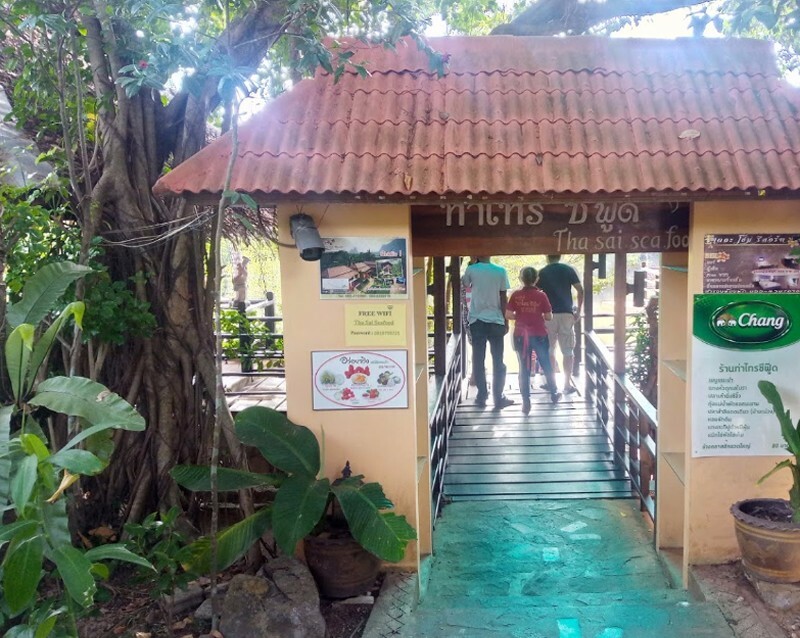 Tha Sai seafood is a charming riverside restaurant arranged over several levels on the river bank with seats arranged overlooking the mangrove-lined waterway and the hills of Phang Nga. 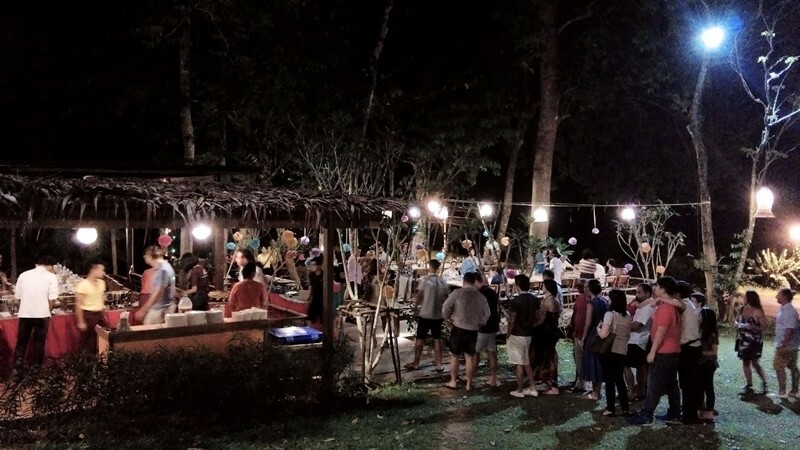 The seafood is great with variety of dishes served like the Southern Thai curry Kaengsom, and some stir-fried crab claws; and the place is packed with a lot of people during weekend. Lae Lay Grill doesn't only serve the best seafood in Krabi, it also features the best place to watch the sunset. 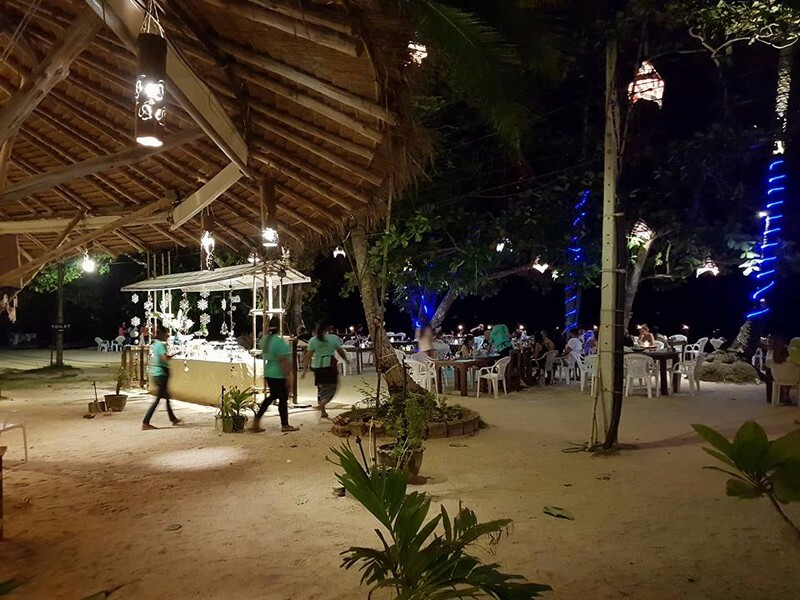 Lae lay is located on the hill overlooking the beach, with fully packed diners each night. There is free shuttle service available to transport you to and from local hotels making it quite accessible. The menu includes seafood such as crab, squid, red snapper and so on. A few Thai dishes are served top compliment, and these come in both vegetarian and meat options. 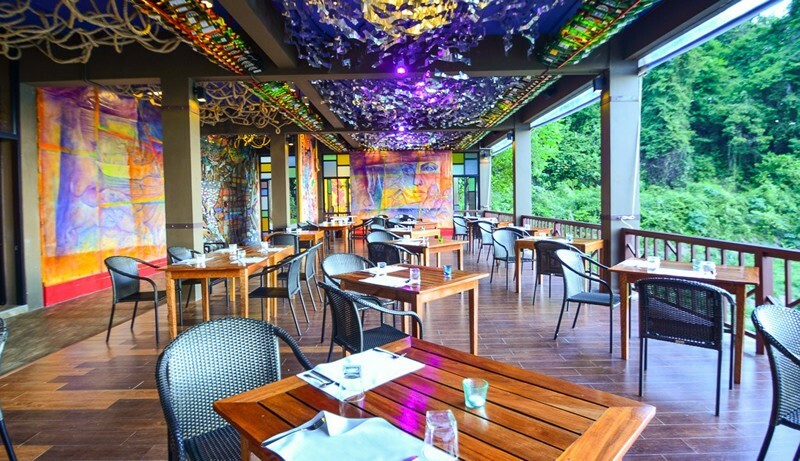 Khaothong Terrace is popular for its original Thai dishes and astounding views. The restaurant itself is no fuss with its simple décor, however, it is surrounded by lush green trees, which gives it a relaxed ambience. 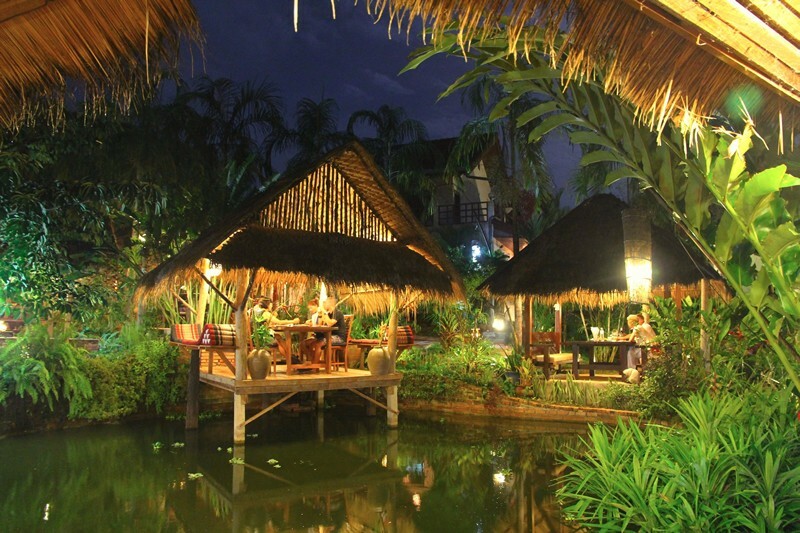 The menu offered include a wide selection of Thai and continental dishes with a special focus on fresh seafood. There are a number of vegetarian options, and the members of staff are always willing to customize dishes based on each diner's tolerance for spiciness. 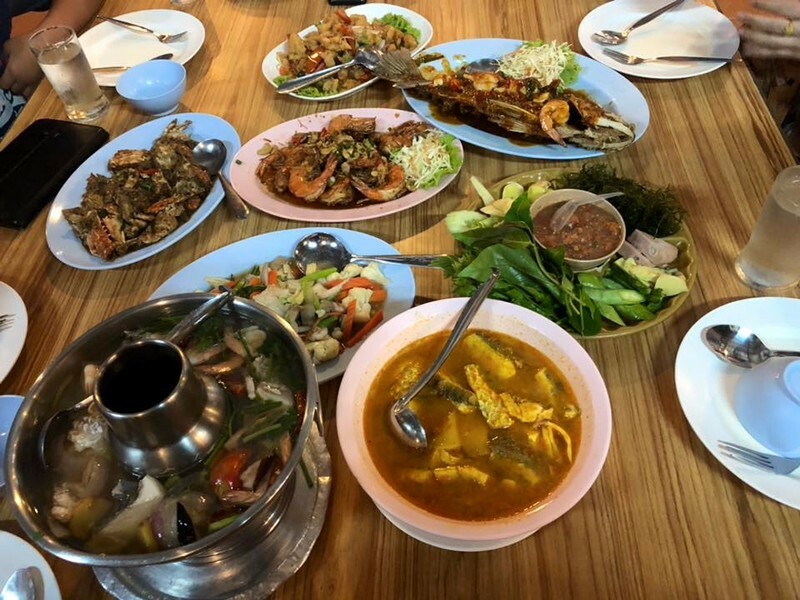 The Frog and Catfish restaurant serves a wide variety of incredible Thai food prepared from organic and fresh seafood source from local fishermen. The restaurant offers an excellent place to try Thai food fused with a selection of spicy salads, soups and stir-fried dishes. The restaurant is situated just outside the busy area of Krabi Town, and features a library with over 2,000 books and English beer is available at the bar. This is a popular restaurant with both locals and tourists due to its personable service, incredible food and relaxed ambience. Mr. Krab-I offers a collection of both Italian and Thai cuisine. Dishes served range from Thai soft shell crab, stir-fries, and curries, to European-themed pizzas, burgers and pasta. With its earthy brick walls, low lighting, laid-back music, and knick-knack hanging on the walls, the restaurant's interior is warm and welcoming. Carnivore Steak and Grill is one of the best places in Krabi to go for premium meats. Meat includes beef, chicken and pork, along with special meats that are common among the Thai people like ostrich, duck, and lamb. The meats are served with a different number of dishes such as potatoes, warm vegetables, French fries or rice. The menu also features a great selection of fish and seafood dishes, as well as hearty salads that can be ordered in three different sizes.